I stopped at her house tonight on my way home from an important visit I’ll tell you about soon…perhaps tomorrow...when I have the energy. We sat at her kitchen counter sharing a cocktail and stories about our week. I needed someone to talk to, and her husband was conveniently out of town. We both needed to vent AND laugh, and there was plenty of both. The cork from the bottle of vodka popped out of the bottle and hit the ceiling like a BOMB exploding!!! “HOLY CRAP! !” we both exclaimed. I looked at her in amazement. We shook our heads, wide eyed and amazed. I decided to rephrase the statement. Just maybe he is! I hope so, because you so deserve it! This is amazing. The Grey Goose is always right! 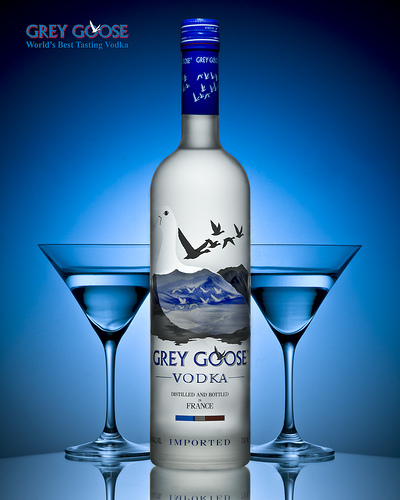 Grab your happiness by the Grey Goose and refuse to let it go. Listen the the vodka it never lies! He is the one, I can feel it all the way out here! Has the Grey Goose, or your mom, EVER been wrong before? Of course not. Yes, listen to the Goose. The Goose is never wrong! The online arcade for women clothes will accord you the advantage to several accessories for girls which are added acceptable for your dress materials. The accessories cover appearance jewels such as studs, close sets, rolex replica watches, rings, louis vuitton replica bracelets, etc. You can get the contemporary fashionable collections of accessories at low amount in online arcade with abounding amount offers. Some of the accessories are included as the amalgamation accumulating with the dress abstracts accessible in online. For archetype you can get the appearance accessories for the purchased ladies acme with acceptable colour and design. Those accessories accessible forth with dress abstracts of women are fabricated by the aforementioned prada belts abstracts acclimated in the dress collections. That agency if you bought a affection dress again you will get the accessories which are absolutely bout for that dress will be accessible in aforementioned colour and aforementioned architecture breitling replica with aforementioned material. It will accord you trendier attending to girls.